Organic Cold Pressed Flax Oil & Mineral Salt to taste. Ingredients: Brussels sprouts, cherry tomatoes, potatoes, olives, onions, chives, garlic, basil, parsley. A healthy & delicious fusion of some of my favorite Asian inspired dishes! Ingredients for the patty include: Sweet potato, chickpeas, onions, chives. Ingredients for Zucchini: zucchini, lemon zest, chives, onions, basil, parsley. Mineral salt and pepper to taste. Ingredients: Quinoa, Potatoes, sweetcorn, cauliflower, chives, onion, garlic, basil, parsley, mineral salt and pepper. Sauce: Red bell peppers, potato, parsley, basil, onions, garlic, mineral salt and pepper. Quinoa & Broccoli Burger on a bed of Sprouted Lentils & Potato Salad. Burger: quinoa, broccoli, potatoes, onions, garlic, chives, basil, parsley, mineral salt, pepper. Salad: sprouted lentils (mosaic of sprouted Green, Brown and black lentils), potatoes, celery, garlic, onions, chives, organic cold press extra-virgin olive oil. Basil, parsley. Mineral salt and pepper to taste. Another really healthy, easy and quick dish. Just sprouted quinoa, and organic spinach. Mineral slat to taste. Instead of processed white rice with your meals, which is devoid of any nutritional value, and messes with your blood sugar levels etc., try these Super-Foods instead - Mix the Sprouted Mug Beans in with the Quinoa and cook together. Add the Raw Flaxseeds when the Sprouted Mug Beans and Quinoa are cooked. Quick & Easy! Very Tasty and Very Good for You. Red Bell Peppers, Edamame, Kale, on a bed of Sprouted Quinoa & Sprouted Lentils. Super Healthy & Yummy Plate of Quinoa with Sprouted Lentils & Raw Flaxseeds. Topped with Kale, Red Peppers & Tempeh. Tempeh is a whole soy food that has been eaten in Asia for hundreds of years. It's made from cooked and slightly fermented soybeans, giving it its unique nutty taste. Tempeh is high in protein, minerals (calcium etc.) & B vitamins. It also contains beneficial phytochemicals such as isoflavones and saponins. Drizzle with Organic Flaxseed Oil & Cold Pressed Organic Extra Virgin Olive Oil. Mineral Salt & Black Pepper to taste (The black pepper I use has a delicate sweet peppery flavour). Simple, Tasty, and Super Healthy! Add Flaxseed oil & season with mineral salt. I love Broccolini and its Sweet Flavor! Here it is steamed with cherry tomatoes, and served with avocado on a bed of sprouted quinoa and sprouted mung beans. Seasoned with mineral salt. Nutritionally, Broccolini is high in vitamin C and contains vitamin A, calcium, folate and iron. It's easy, quick and great for you! Cook the sprouted quinoa and lentils together; steam the Bak Choi and cherry tomatoes; Serve with avocado (raw) and mineral salt. Voila! *When tomatoes are cooked, their lycopene content becomes more available to the body. Lycopene is a powerful antioxidant that gives tomatoes their deep red color and protects against disease. These are really yummy! Crispy on the outside, soft and warm inside! "They are nutritious and delicious, as well as a fast and easy recipe to prepare. 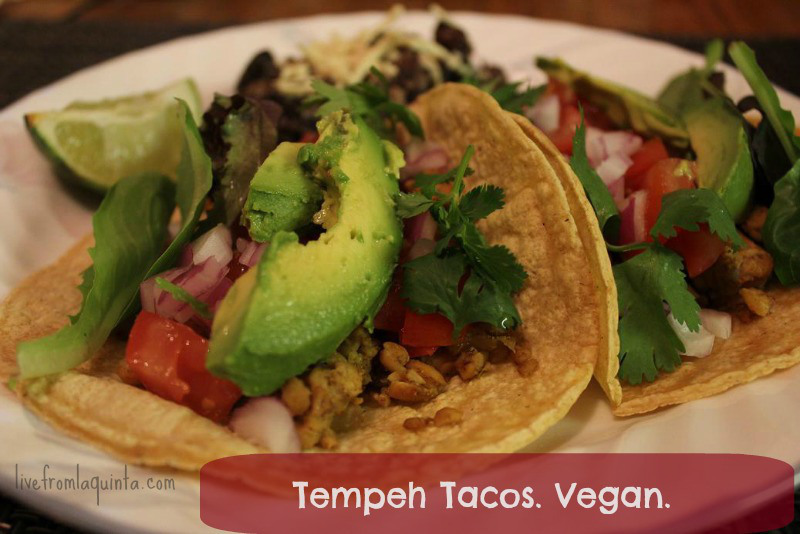 They are also a great introduction into the use of tempeh in vegan and vegetarian recipes."